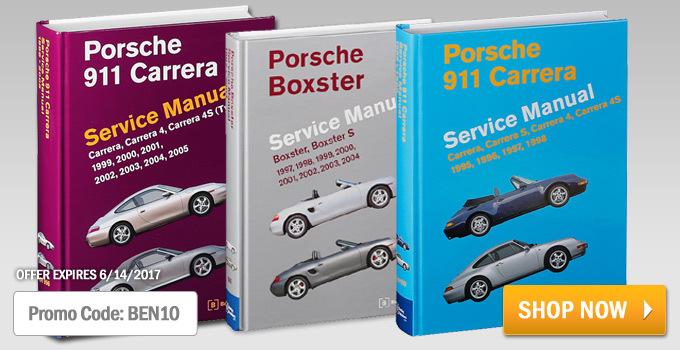 Whether you're a professional or a do-it-yourself Porsche owner, all Bentley Service Manuals will help you understand, care for and repair your car with their practical explanations, step-by-step procedures and accurate specifications. Not the DIY type? You’ll still find that reading and owning a manual will make it much easier to discuss and assess expensive repairs intelligently with a professional technician when the time comes. Now through June 30th you can take 10% off all Bentley Service Manuals when you apply the promo code BEN10 during checkout!